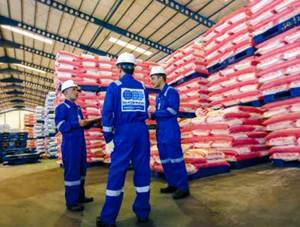 PT Superintending Company of Indonesia (Persero) – PT SUCOFINDO (Persero) or known as “SUCOFINDO” is a reputable and trusted state-owned company in Indonesia, running business in inspection and supervision services. SUCOFINDO engaged in inspection and audit services, testing and analysis services, certification services, training and consultation services. As a state-owned company, SUCOFINDO is majority owned by the Government of Indonesia. As of December 2017, PT Superintending Company of Indonesia (Persero) is 95% owned by the Government of Indonesia and other 5% remaining shares was owned by Societe Generale de Surveillance Holding SA (SGS SA). With services in all parts of Indonesia, SUCOFINDO now has 28 branch offices, 32 service units and 46 laboratories spread in all over Indonesia. SUCOFINDO also supported by 1 SBU Laboratory at Cibitung Bekasi and 1 Laboratory at Surabaya East Java. In 2017, the performance of SUCOFINDO is showing good results. According to information found in PT SUCOFINDO (Persero) Annual Report 2017 as quoted by JobsCDC.com, SUCOFINDO managed to record revenue of Rp2,037.97 billion in 2017, an increase of 9.46% from the previous year of Rp1,861.76 billion. Total profit for the year 2017 grew considerably to Rp233.66 billion, from Rp148.34 billion in the previous year. Minimum Bachelors Degree (S1) required with a concentration in Civil Engineering, Electrical Engineering, Mechanical Engineering. Minimum 10 years of experience in the related field, preferably as Contract Engineering on power plant project. Able to understand and evaluate the contents of the contract. Able to provide an advice that can minimize risks for the company.